Don't you like a scroll bar color on Chrome browser? Do you want to change scroll bar color on chrome? Simple Scrollbars X is a small extension that will change the default color of Chrome scroll bars. 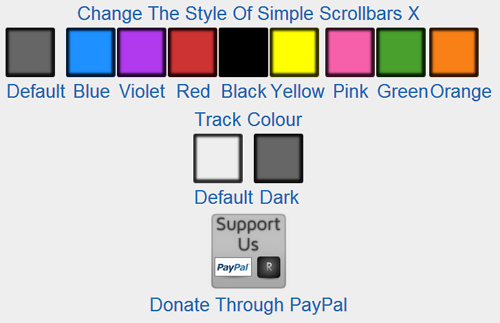 There are 10+ colors available to change you can select any one from this like below. The color of the scrollbars can be changed through the options page. All tabs open in Google Chrome must be refreshed after the installation of this extension.